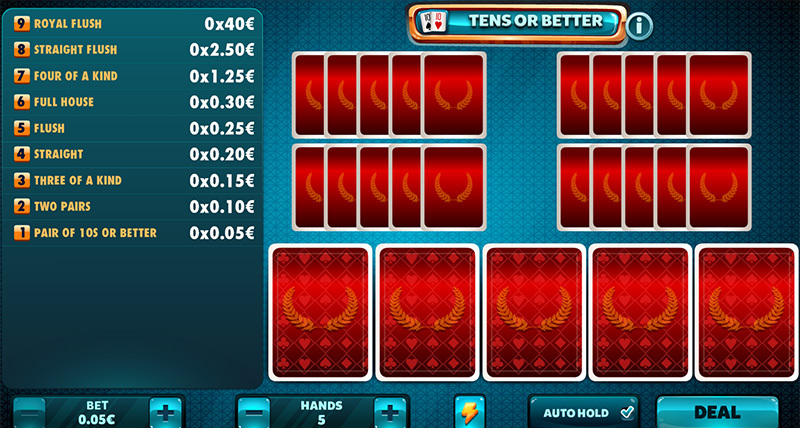 The easiest variety of Jacks or Better. 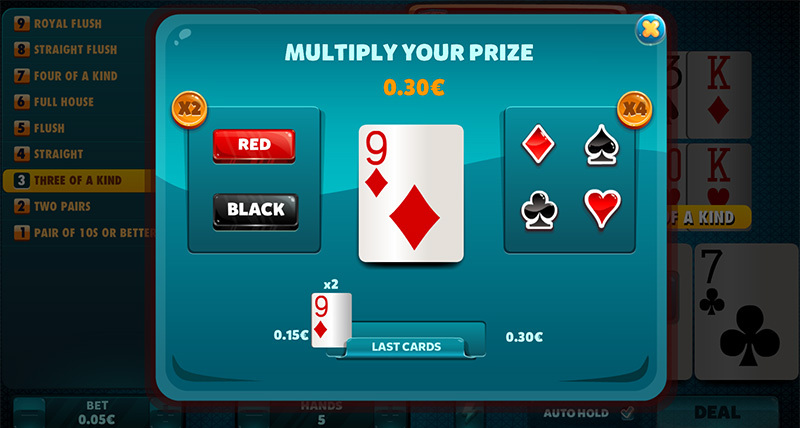 You will only need a pair of 10s to get a prize! 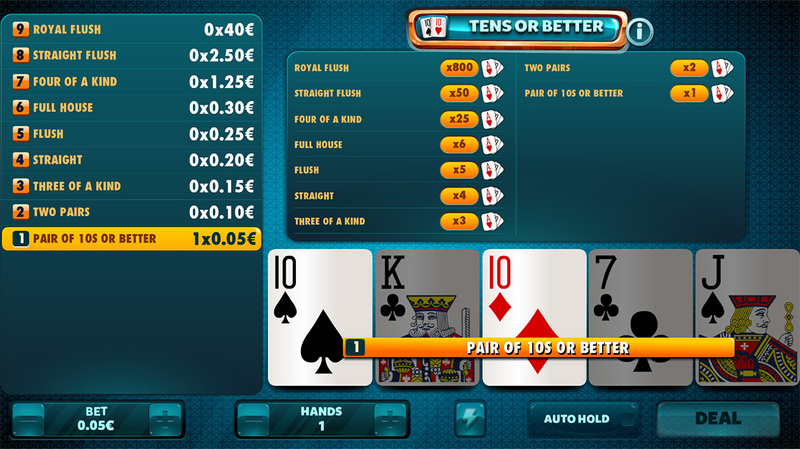 Any hand equal to or higher than a pair of tens will have a prize. 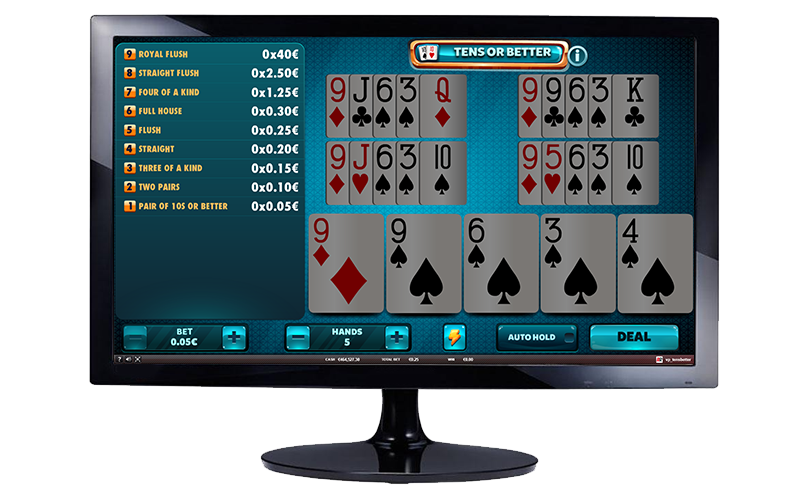 Tens or Better: Even easier than in the Jacks or Better format. 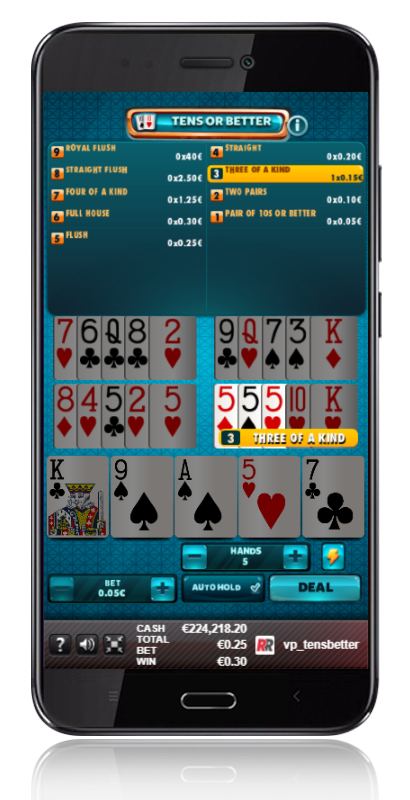 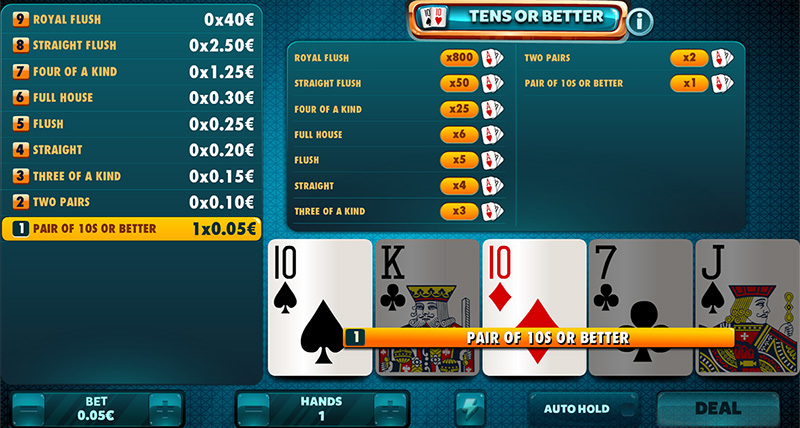 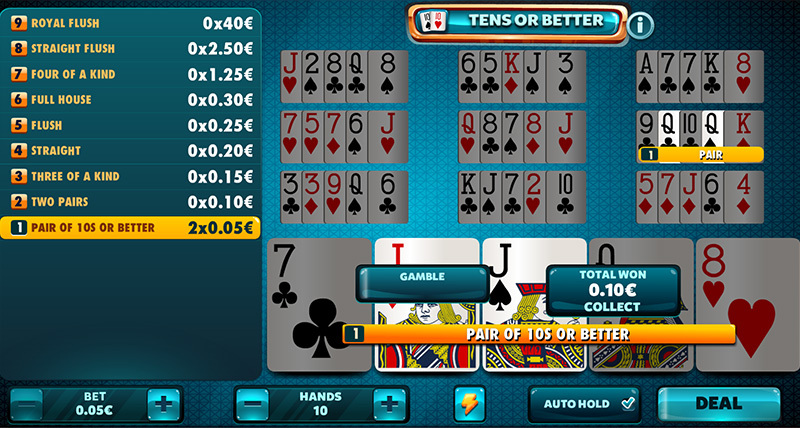 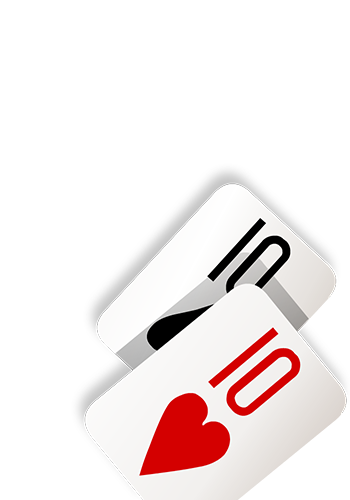 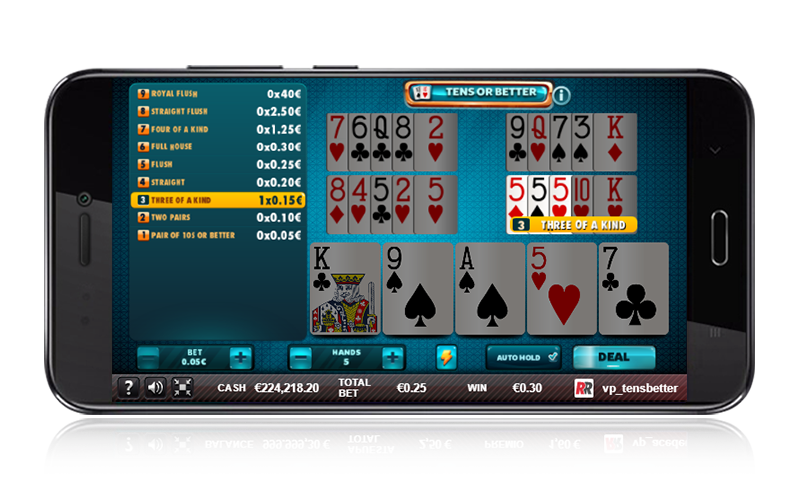 Tens or Better: Any hand equal to or higher than a pair of tens will have a prize.